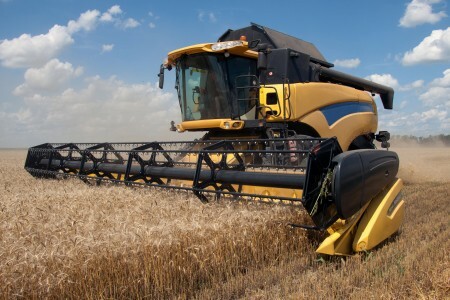 We are one of the leading companies on the Polish market involved in the sales of spare parts for agricultural machines. We strive to continuously develop and broaden our offer in this field, so that it corresponded to ever-growing market demands. We propose modern solutions improving work efficiency and attractiveness of Polish farms. We guarantee the highest quality of our products and we care about their high technological level and unique durability. Parts for agricultural machines offered by our company correspond to the Western European standards and their offer is still enriched with new products. We offer high-quality substitutes for machines by such manufacturers as: Claas, Case, Deutz Fahr, New Holland Catalogue, John Deere, Laverda or Massey Fergusson. As regards our farm machines, we have great knowledge and experience which we will gladly share with you. A perfectly organized team of specialists is ready to help at your purchases and advise on appropriate selection of a part. Customer satisfaction is crucial for us. 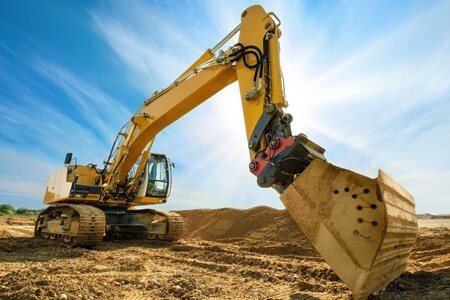 One of the fundamental pillars of our business is sales of parts for earth-moving machines. We offer you a broad selection of products which, as a result of many years of presence on the Polish market, has been adapted to individual customers. We offer a large selection of teeth, adapters and blades for earth-moving machines and short periods of implementation. We care for high customer service standards. We provide assistance in correct selection of parts and their proper application. We started cooperation with ETESA and, consequently, we can offer you technologically advanced products at convenient prices. Our offer includes high class, modern parts for machines by such manufacturers as Caterpillar, JCB, Komatsu, Doosan, Case, Hyundai, Esco, Volvo, Fiat etc. We are confident that the products offered by us will enable effective and safe work, and will satisfy even the most demanding customers. We have gained trust of the best. We are expanding our cooperation with OFAS, a manufacturer of high quality discs for soil tillage machines such as harrows, ploughs and seeders. The offer also includes: tines for cultivators, spring tines, cultivator points, parts for aggregates and blades for feed mixers. The entire assortment is made of high-quality, wear-resistant steel. You can download the catalogue of products HERE. More information can be obtained from our Product Managers. We are pleased to inform you that RIMA POLSKA will be present at MASZBUD fairs in Kielce. We will be waiting for your at our stand – hall F stand no. 1. We invite you to the presentation of our products! We invite you to visit our pavilion during this year’s OPOLAGRA exhibition. We are the exclusive distributor of Spanish ETESA company – the manufacturer of tips, adapters and blades for earth-moving machines. RIMA Polska is an authorized distributor of the Slide Sledge multi-head hammers and all other Slide Sledge product lines.